There’s a problem with making a Lego film franchise: nobody knows what Lego means. I mean, Phil Lord and Chirstiopher Miller’s The Lego Movie is a firework. Like Cloudy with a Chance of Meatballs and 21 Jump Street it is so insistent that it demands more. Of course we’re getting more. But what, in this context does more mean? When a film dumps a dozen fully formed, well articulated ideas onto your lap and demands you carry them on, how do you choose which are integral to the series, and which are constructs of the film in question. The Lego Batman Movie takes this gauntlet on and announces its intentions immediately. Comedy and tone: In. Shared world or characters: Out. Visual and audio aesthetic: In. Political aesthetic: out. Postmodernism: In. Deconstruction: Out, sorta. It’s admirable the extent to which it goes its own way. Probably a choice that benefits the film as a whole too. You could watch this and, outside of a couple of throwaway lines of dialogue, not even be aware that anything came before. This is a good thing on the whole, by forgetting almost everything that came before it choose to define itself. There’s less here than in the original, but there’s less in almost every film existing too so let’s not judge it too hard. Understand, The Lego Movie is a movie about Lego. It’s (among all other things) about how we societally interact with Lego, both physically and as a cultural product. 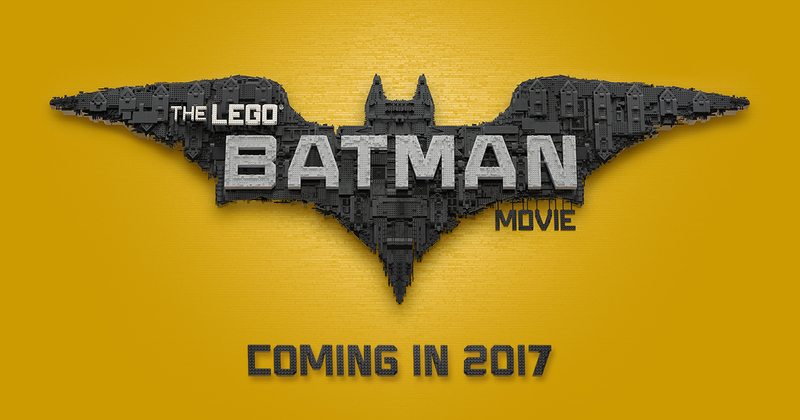 The Lego Batman Movie is a movie about Batman, and how we as a society interact with Batman as a cultural product. Which is to say, it’s going to be what Batman comics have been about for the past thirty years. A whistle stop tour of the character’s various interpretations, psyches and relationships. There ain’t too much new material to be covered here, so rather than a new Batman, the character in this film exists as an act of active criticism. The film invites us to see the character as a lens through which to observe other his interpretations, which is to say there’s no groundbreaking character revelations, by the films very intent there cannot be. What it can bring though is comedy, to a character that has been under-served in that regard for a long time. Lord and Miller are producing here and, while acknowledging the work of the half dozen credited writers, I’m gonna say they did a joke pass on this one. The goofs come present and correct and thick and fast. Shockingly, you realise from the opening sequence, at an even faster clip than in the original (although not with the same exemplary hit rate). That at least gave the audience a little time to adjust, starting a little slower, restraining the camera, this one kicks off with admirable mania, a neon explosion enough to force you back into your chair. If you thought the original was a bit much you’ll get no reprieve here. Where the script falters a little (I’m gonna say comparatively here, it’s not bad or anything, just functional) is in the actual plot structure. Harsh to call it simplistic when it’s following the tried and true beats of a thousand stories come before, but there’s nothing new here. It feels like it has to be subversive though, that’s the Lego thing now. However, and I’m not going to spoil something that I’m sure many could find quite delightful, it makes decisions that, within the context of the movie feel strange. It’s more than happy to mock its own artifice, but struggles to find substance, and so the corners it cuts, the shortcuts to meaning, aren’t any more fulfilling than the movie knows they are. Especially when it starts to bend its own rules just a little. Which might mean a failure if not for some stand out performances. The work done by Micheal Cera and the visual artists responsible in creating the character of Robin is outlandish. Summoning up all the possible humour and pathos that could exist in the world for this lil guy and pouring it into those big anime eyes and breaking voice. Will Arnett continues his vocal voyage through every possible shade of black as Batman and handles quite well the transition from comic relief to actual character between the two films. Lastly for here, Ellie Kemper voices a character whose role I’m not going to fully explain, but suffice to say she keeps the plot grounded at the precise place it feels likely to spin out of control. There’s tension here, certainly at places where it feels like the flick’s tugging at its edges, questioning its identity. It never quite gets to the bottom of it, there’s this fight here under the surface of allegiance, between Lego and Batman, which intensifies as the film goes on. It’s this unease that is never quite resolved and you can feel it there under all the jokes. Or at least I could, maybe I’m misjudging here. It lands with Batman in the end, the right place for it. Oh, and there’s so much love in this messy movie. In the transfer they made sure to treasure every ounce of good spirit that made it into the original. I really I don’t have to care what the Lego movies become, so long as they approach their material with this much optimism and love. Oh, and watch it in the theatre too, it’s too beautiful to be wasted on a small screen. Next Post Looking at: Semiotic Transference in Minecraft: Story Mode.